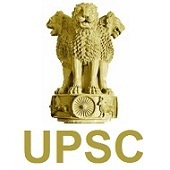 UPSC Recruitment 2017 | Advt No 21/2017 for Various Vacancies: UPSC Advt No 21/2017 for Various Vacancies: Union Public Service Commission (UPSC) has Published Recruitment notification for Various Vacancies. More information please read below mention officially notifications carefully. Education qualification : Please read below mention officially notifications carefully. Closing Date for Submission of Online Application: 30-11-2017.